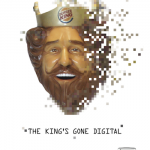 “BK City Mobile Phone Game Launch” in-restaurant campaign created for Wunderman. Getting superfans to play with the King while eating their Whopper was not only easy, it was fun. 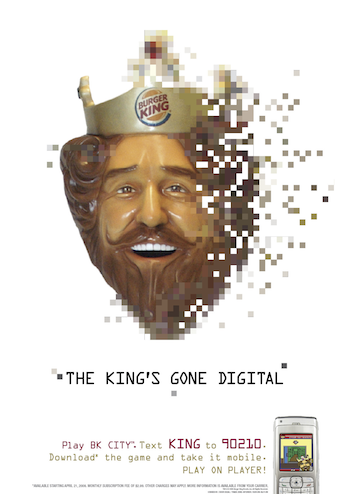 A strategic partnership with a game developer brought the personality of the King to the small screen. All BK consumers had to do was download it for a fee and start playing. Door clings in all BK locations drove participation.